Anfield Road has teamed up with 5Times and the 23 Foundation to offer readers a chance to win this very special limited-edition item. The prize is a Liverpool shirt featuring a specially embroidered section detailing the honours won by former captain Steven Gerrard during his many years at the club he supported and then joined as a boy. Better still, Steven has signed the one on offer in the competition! Each shirt is individually numbered and there have only been 710 of them made – one for each of Stevie’s games for the Reds. Full details of how to enter can be found below – along with details of how to get your hands on one if you can’t be bothered waiting to see if you’ve won the competition! Fancy one of these on your wall? Scroll down to enter our free competition in association with the 23 Foundation. Steven Gerrard played 710 games for his beloved Liverpool FC and of course went on to become club captain, including on that night in Istanbul when he lifted the Reds' FIFTH European Cup. 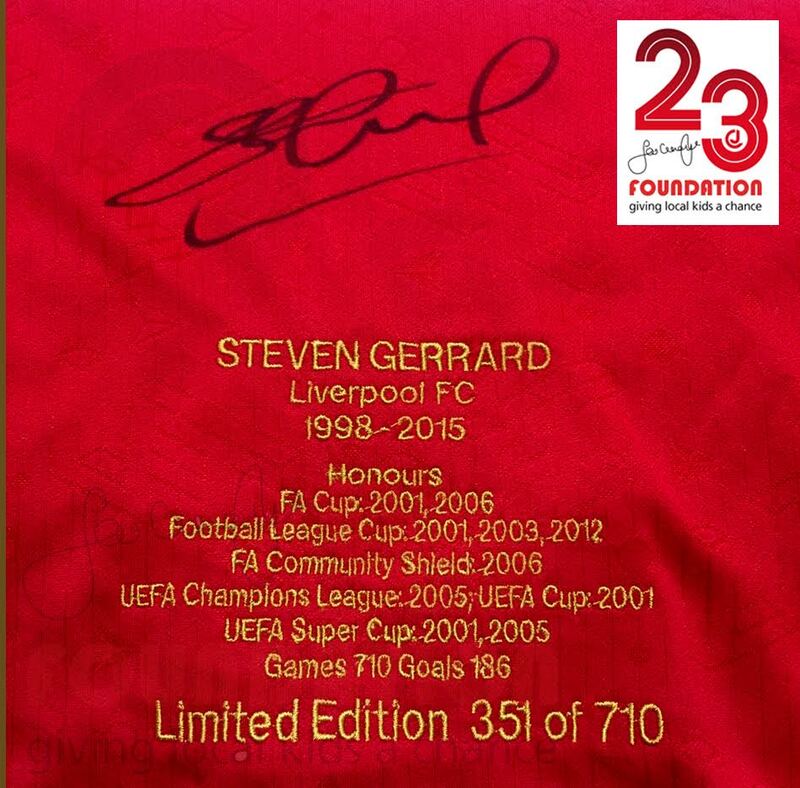 The 23 Foundation is offering a beautifully embroidered "Honours" shirt for each one of the 710 games that Stevie played for the Reds. Each shirt is individually signed and numbered from 1 to 710. 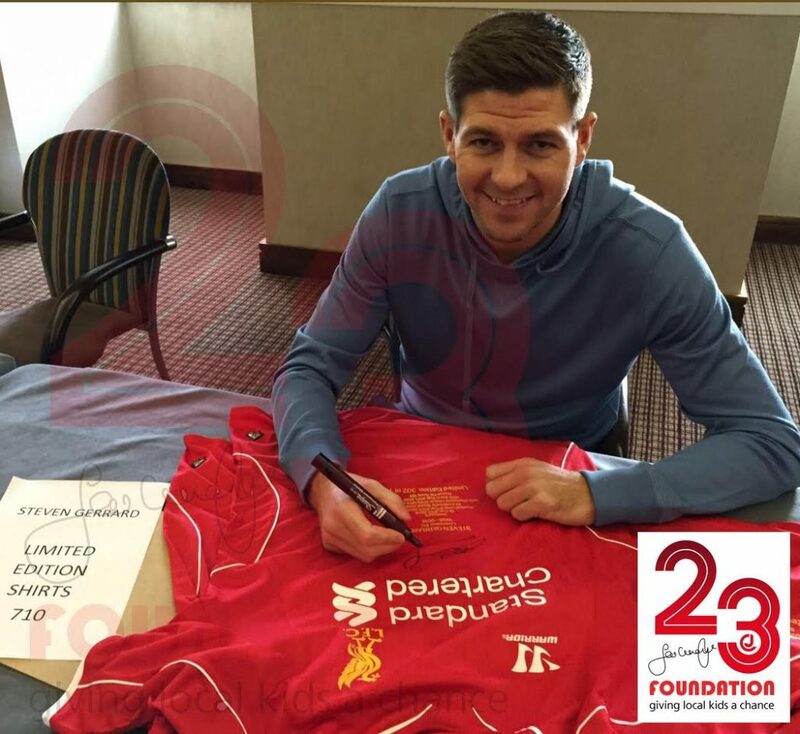 As can be seen from the pictures, Stevie has signed each shirt on the front above his major honours for the club. The shirts are available exclusively from the 23 Foundation, but we have got one to give away in this very special competition. Enter your details below to get into the draw. 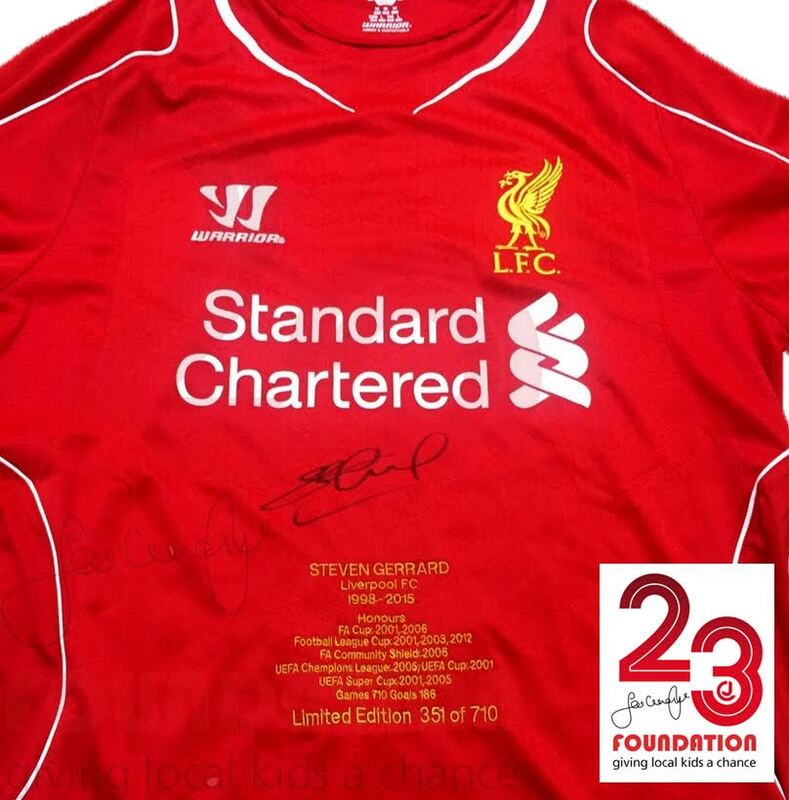 The shirts are available to order now from the 23 Foundation, please visit the following page for full details: http://jamiecarragher23.co.uk/product/liverpool-signed-shirt-embroidered-with-honours-signed-by-steven-gerrard/ * Please ensure you enter the correct details as we will use these to contact you in the event of you being successful. Who did Liverpool beat in the 2006 FA Cup final at Cardiff? Don't forget to answer the question! Closing date: Wednesday 15th February 2017. The competition is free to enter, entries must be made online using this form. The prize is one signed limited edition honours shirt as described on this page. One winner will be picked at random and the details supplied here will be used to arrange delivery. In the event we are unable to contact the winner we will select another recipient. All entrants agree to be added to our list to receive occasional Liverpool FC related emails from 5Times on behalf of 5Times and its partners. Entrants can unsubscribe from this list at any time by using the unsubscribe link in any of the emails sent. 5Times' decision is final.